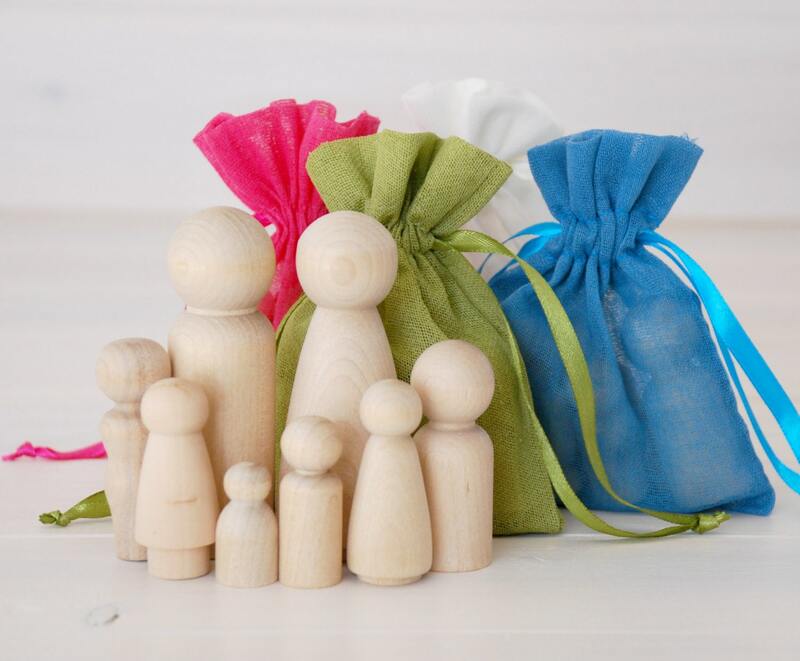 *Muslin Bag Color will be randomly choose (Ivory, Olive, Aqua, Orange & Fuchsia). 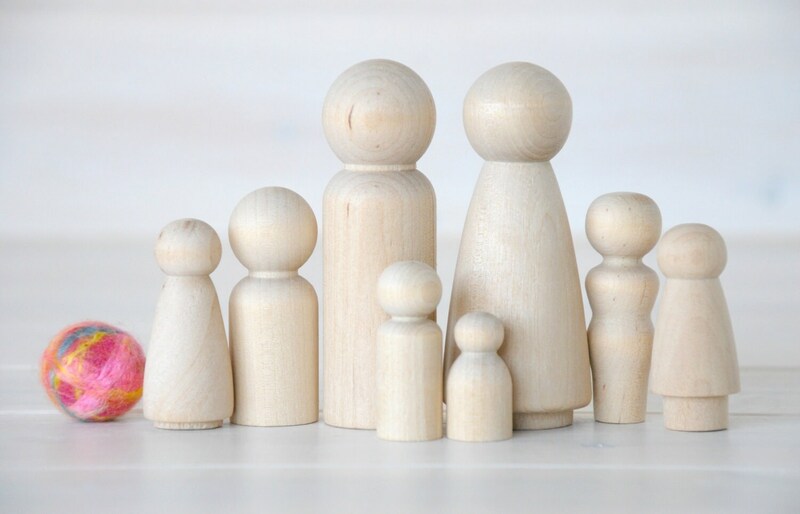 These are not toys for small children (Boy & Baby)! 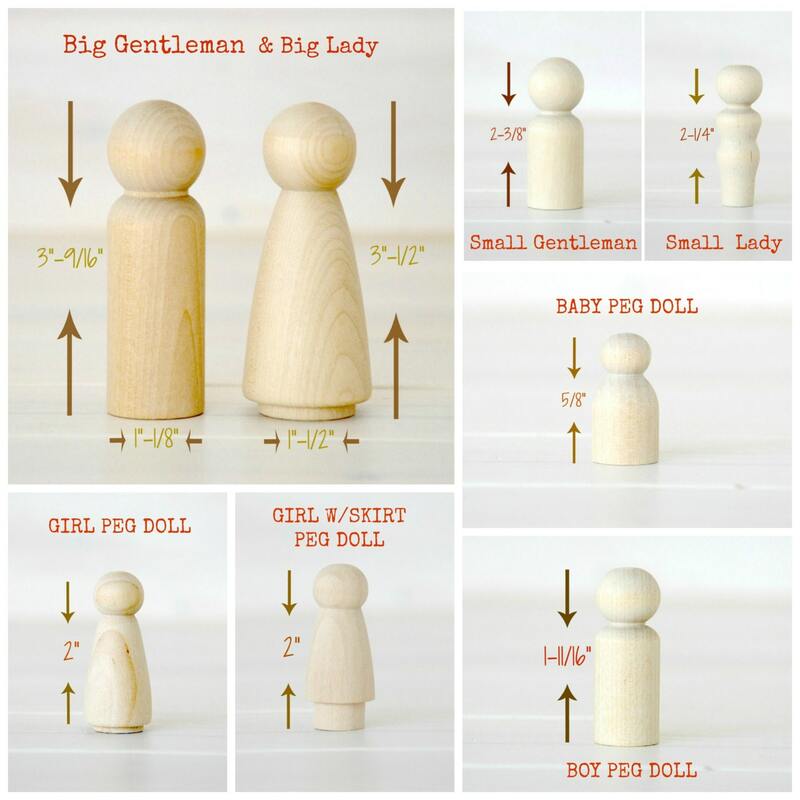 Due to its small size it can be a choking hazard. 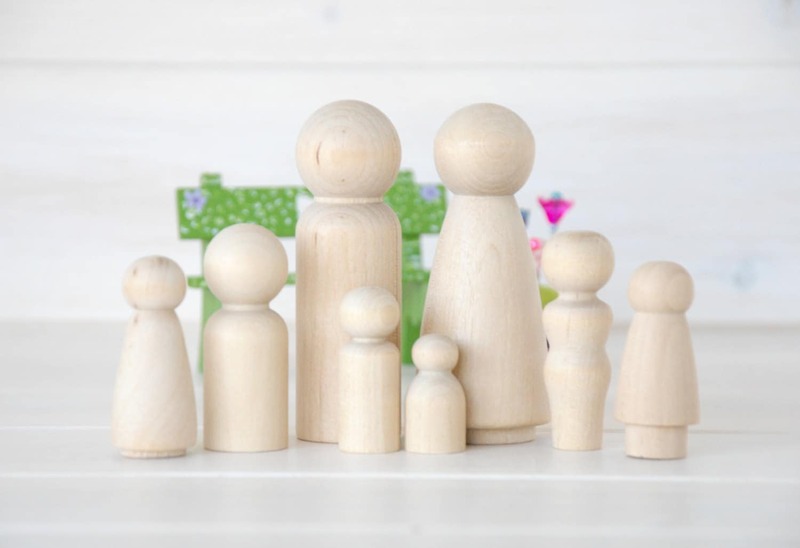 Cute wooden Family and great quality. My daughter loves it. bonne qualité et le service est rapide.